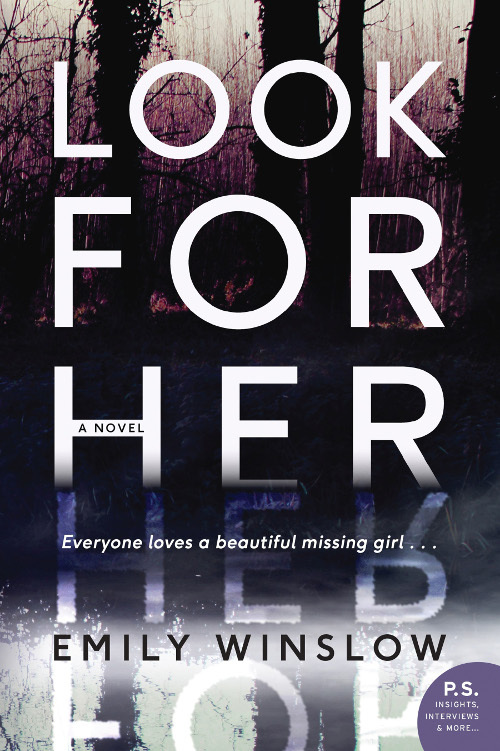 ‘Look For Her’ is a gripping psychological thriller that delves into the grief, jealousy, and unresolved mystery surrounding a cold case kidnapping, in the vein of Gilly MacMillan and Mary Kubica. Author Emily Winslow is a very clever writer and has developed a style uniquely her own. What we have in this novel is the story of a sixteen-year-old girl, Annalise Wood, who leaves school one day to go home on her bike, long-haired, pretty, and full of life. She never arrives home and is never seen again. How this disappearance affects the local population of Lilling, a quiet, unassuming little village just outside of Cambridge, over the years, is the kernel of the book. Her disappearance eventually becomes a cold case. Enter Detective Morris Keene, who has taken over the inquiry because of new DNA. Keene will be supported by his ex-partner, Chloe Frohmann, who just happens to be on maternity leave. It is very unclear why there is such tension between Keene and Frohmann, some reference about a previous case is made but nothing is ever fully explained. Doctor Laurie Ambrose is the local psychiatrist and has a patient who is obsessed with the story of Annalise and throughout the book, you are drawn into the heart of it by Doctor Ambrose, her family, her patients, and the two detectives. We move through the investigation and at times, it becomes very complicated. Occasionally, you have to draw back and look at what is in front of you, study it as the story unfolds, and then move forward. ‘Look For Her’ is very well thought out, and what was essentially a commonplace occurrence, unfortunately, Miss pretty sixteen-year-old, becomes a novel that actually has a beginning, a middle, and an end. You have to look for it though, with a variety of well-drawn characters and backstories, reg herrings included, this makes for a very interesting read. Available in bookstores February 13th, 2018.